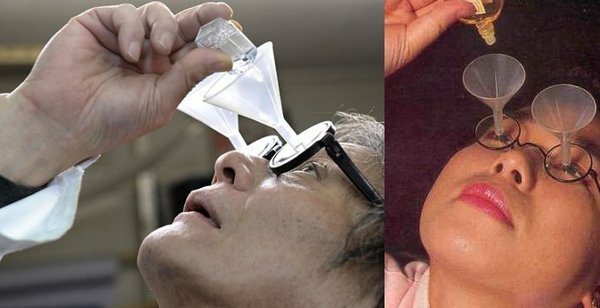 Read ahead to find 10 crazy inventions that you can only find in Japan and they will surely give you a start! Look at these cute soft teddy bears. You want to hold them and cuddle them but wait there’s more. These teddies are microwaveable and can be put in the oven and they would be warm for you to cuddle and sleep at night. Wait! There’s more; these bears are scented with different flavors to give you a much more relaxing sleep. 2. Japan is becoming over populated day by day with living space shrinking and so is the parking space. 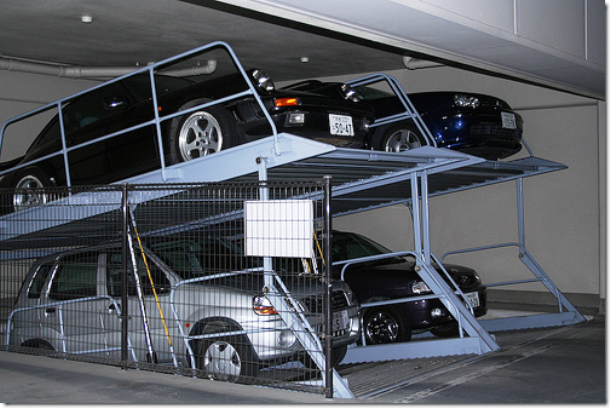 Genius minds in Japan came up with this innovative idea of parking cars in these automated holding sections that move and turn to accommodate your car and you can retrieve it easily once you are back with just the click of a button. 3. 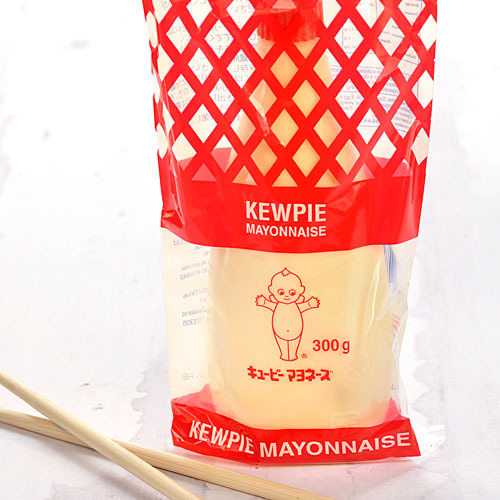 There is nothing wrong with the Mayonnaise in Japan aprt from the fact that it tastes different but the use of mayonnaise is what makes it weird. Japanese people use mayo in soups, ice creams, pancakes, noodles and spaghetti sauce. 4. This I perhaps one of the most genius inventions id be dubious about the design though. Many people face difficulty in putting eye drop properly in their eyes. Most just drop away. These glasses make sure the drops end up in your eyes only. 5. Too tired to clean running after your crawling baby? 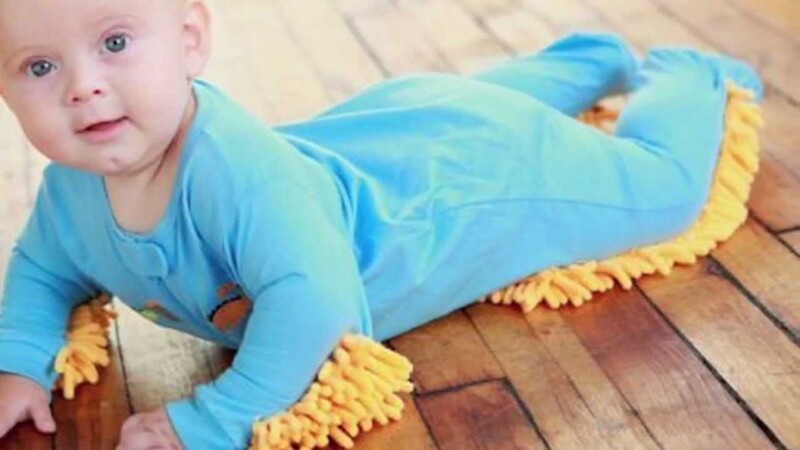 Invest in this baby mop dress, where your baby can crawl as much as it wants and you don’t have to worry about the cleaning of the house. Take a chill pill. 6. Japanese people have invented newer ice cream flavors. Wait till you hear them; Horse meat, cow meat and chicken flavored ice cream! Surprised? Oh anyone would be! 7. Have you heard of Soy sauce kitkat, Wasabi kitkat or baked potato kitkat? You haven’t? Well now you can taste them exclusively in Japan. 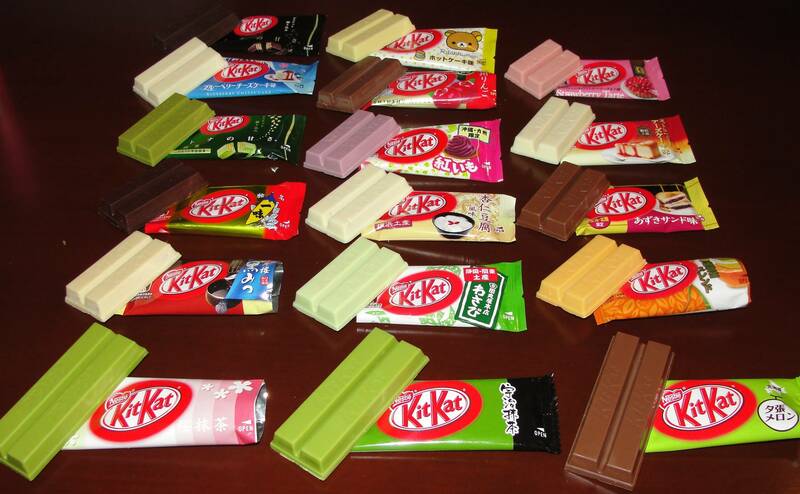 Kitkat has over 20 Japanese flavors. Don’t believe me? See for yourself! 8. 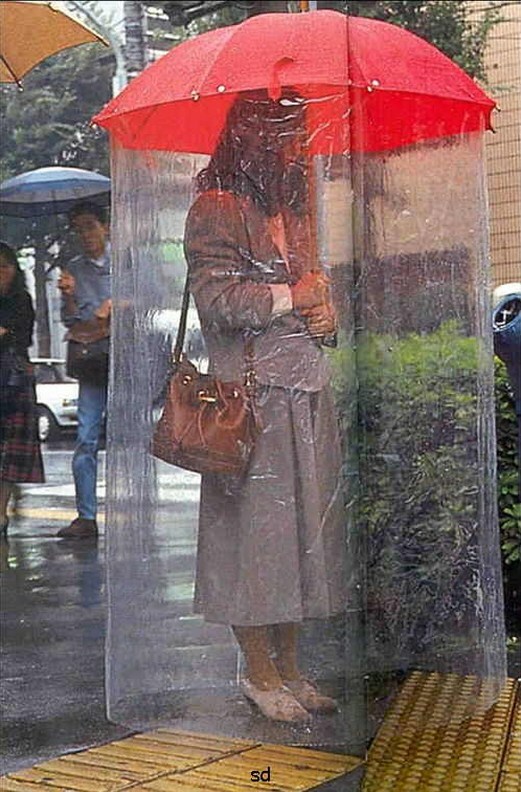 This thing you are looking at is called a ‘Super Umbrella’ and it’s for those who are allergic to rain! Yes, there are people who can’t even sustain even wee bit of rain water. 9. This invention was created for the forever free who find it hard to pass time and love to pop bubble wrap. So here it begins the never ending bubble pop frenzy. 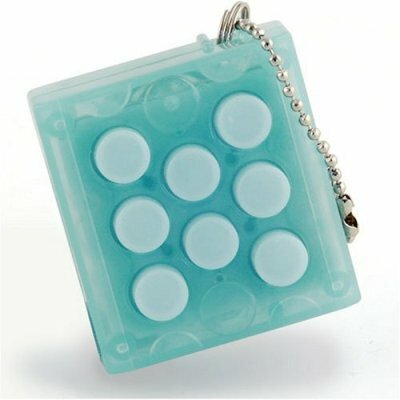 This mini toy can be hung in bags and gives you the feel of popping bubble wrap and then inflates again on its own. Cool isn’t it? 10. 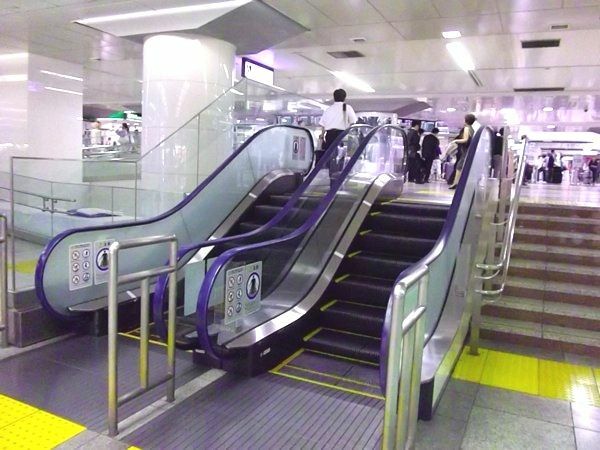 Lastly, this escalator baby is famously known as the world’s smallest escalator located in More’s department basement in the city of Kawasaki. Yet another reason for being lazy! « Mount Rokko Snow Park: Skiing And Snowboarding At Its Best!